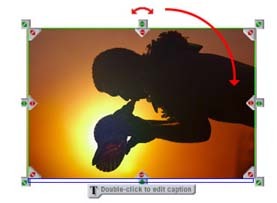 Snap-dragging is a feature that allows any photo dragged within a 2mm range of any other photo, a Guide, the Safe Area or the Print to Edge Area of the page, to automatically 'snap' in to alignment with the object. This means that you get a visually pleasing composition without having to gently nudge every photo in to perfect position. When a photo 'snaps 'in to position with a Guide, the blue Guide will temporarily change to a green line and a blue dotted line to show you that the items are in alignment - see below. This way you can be assured of perfect alignment. The simplest way to move a photo or a group of photos from one place on a page to another is to select the photos you want to move, then drag them and drop them on to the new position. See the Tools Panel for full details. A spanned photo is one that spreads across two pages, like a double page spread in a magazine. 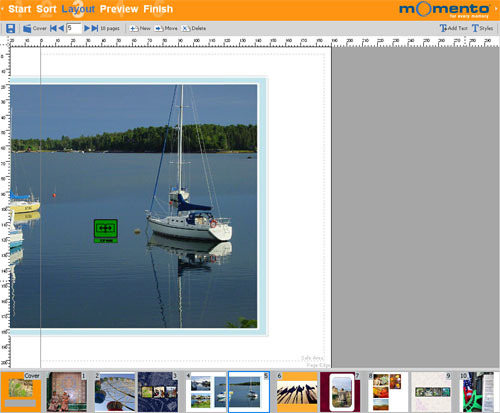 Momento’s software automatically calculates the overlap needed so that when the book is bound, the photo flows perfectly across the pages without replicating or losing any part of the photo. The software also identifies when an action is made to one page of a spanned photo and automatically updates the adjacent page accordingly. 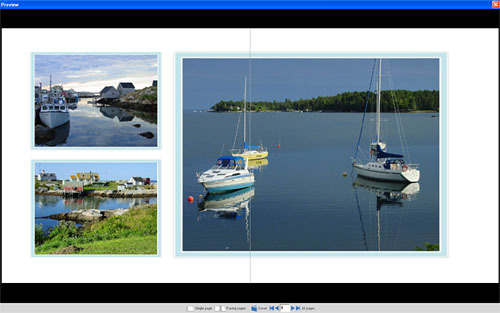 The software will automatically ensure that the two pages featuring a spanned photo stay together for printing as a double page spread, on a facing left and right page. 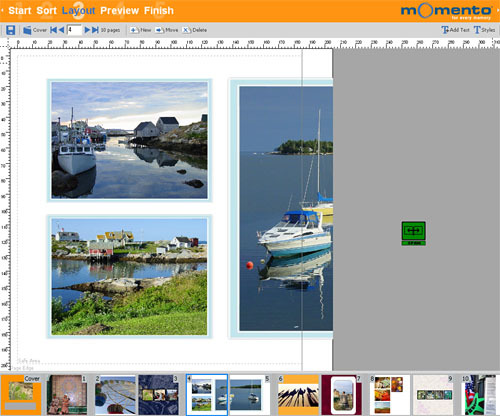 the photo will position itself back on to a single page, leaving a blank page opposite.